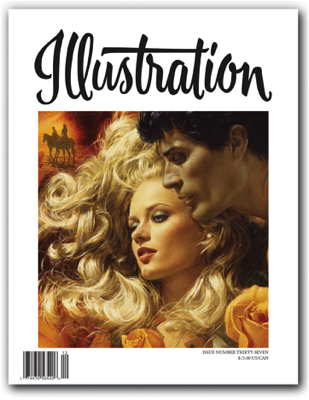 In this issue: The art of Elaine Duillo, the modern master of the romance book cover genre and the woman who made Fabio famous. Next up we feature Coby Whitmore, the legendary and widely imitated boy/girl magazine illustrator of the 40s and 50s. Our final feature is on George Ziel the master of the Gothic paperback cover. Book reviews, exhibitions and events, and more round out this issue. 96 pages in full color. $15.00 U.S.